Truckee Meadows Parks Foundation (TMPF) is offering a series of free, weekly interpretive walks for people living with dementia and their caregivers. Co-sponsors include the Alzheimer's Association, the Sanford Center for Aging at UNR and the Reno Senior Citizen Advisory Committee. Idlewild Health Walks are an extension of the Discover Your Parks walks from TMPF, which encourage people to get outdoors to explore and care for local parks. Walks give participants an opportunity to learn about the natural world through an exploration of seasonal change along the Truckee River in Idlewild Park. Idlewild Health Walks are free and open to the public. They are held every Tuesday at 10 a.m. throughout the year and last about an hour. Meet at the Truckee Meadows Parks Foundation office at 50 Cowan Drive in Idlewild Park. For more information, call (775) 410-1702 or email info@tmparksfoundation.org. Note: Every participant must be accompanied by a caregiver. 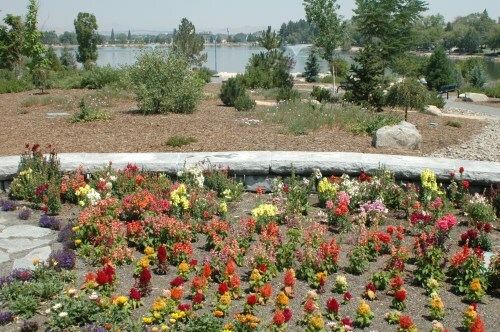 There is a related series of park walks from the Truckee Meadows Parks Foundation. These are free and open to everyone wanting to explore many of the parks around Washoe County. Learn more from "Discover Your Parks Walks in Washoe County." You can, of course, strike out on your own on any of numerous other hiking and walking trails in the Reno area. To learn about some of these, refer to "Reno Area Hiking and Walking Trails." Source: Truckee Meadows Parks Foundation.